Is the air conditioning system in your home old and inefficient? Have you noticed your energy bills are higher, and your comfort level isn’t what it should be? Then it’s probably time to consider replacing your old system with a new air conditioning installation from Boelcke Heating and Air Conditioning. We’ll help you get into a cooling system that will not only keep you comfortable, but will help you save money on your utility bills. When you work with Boelcke, you can count on our talented technicians to install a new AC system in your home that will perfectly meet your needs. We’ll make sure your system is adequately sized for your space and your lifestyle requirements. Our air conditioning products are the best on the market, offering efficiency and effectiveness. You and your family will enjoy cool comfort this summer and for years to come. Boelcke Heating and Air Conditioning can help with your new AC installation and much more. AC Repair: Nobody wants to experience an air conditioning breakdown, but if it happens to you, you should know we can help. We’ll get your system back up and running, so you’ll be comfortable in no time. When you need new air conditioning installation from a qualified cooling specialist for your home, you can trust Boelcke Heating and Air Conditioning. 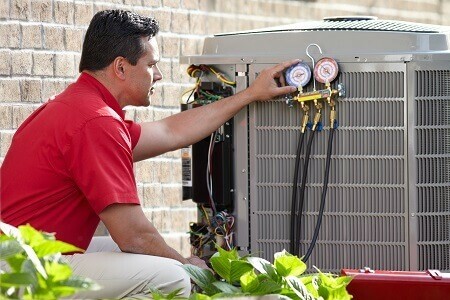 We can help meet all your AC needs, large or small. Simply give us a call at (269) 429-9261, and we will be more than happy to assist you.